Zanzibar, the mystic island and home to world renowned musicians Siti Binti Saad and Bi Kidude as well as the Festival Sauti za Busara and Zanzibar International Film Festival, is proud to have born new voices to carry on the cultural legacy and mystic connected with this island: Siti & The Band - a unique live experience, fusing traditional Taarab instruments, melodies and rhythms with western influences, are releasing their album “Fusing the Roots” early next year and are looking forward to tour in EA to present a very special musical experience! “Fusing the Roots” is recorded evidence of the timelessness of Zanzibar’s traditional and contemporary music. 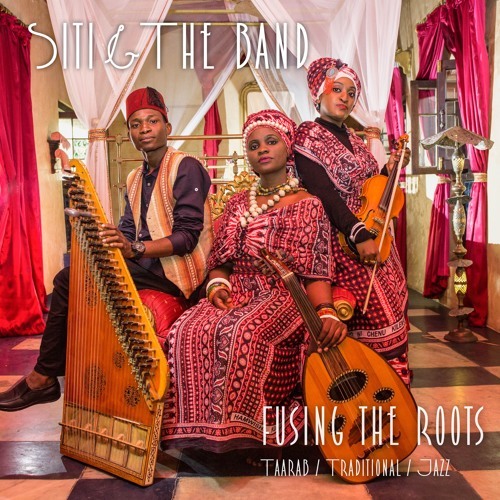 The high quality recording, empowering lyrics and unique musical compositions of the album have beautifully entangled contemporary rhythms with Zanzibar’s most loved classical genre.